Donuts aren’t even the half of it. It only took forever and a day for Purdue to get with the program, but we finally have our very own Dunkin’ Donuts here in Lafayette. This east coast favorite comes to us promising freshly baked donuts, brilliantly blended coffee, and so many other delicious perks that will make you forget you spent all of last semester stocking up on those secret menu tips at Starbs. When was the last time you bought a donut at Starbucks? Yeah, didn’t think so. Sure, they may have pastries if you can get there early enough, but that just doesn’t cut it for hungry college students. 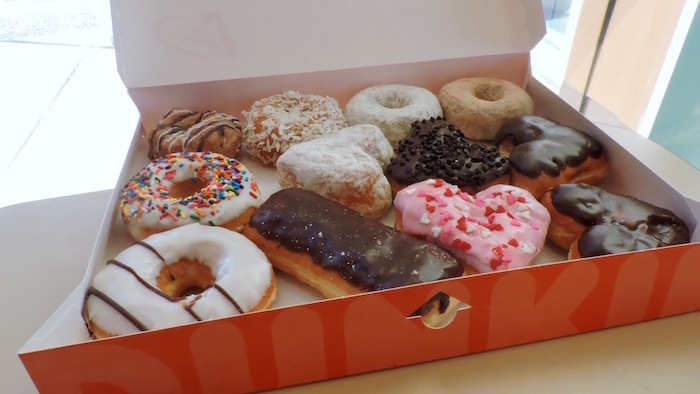 Dunkin’ Donuts is recognized for their amazing selection of incredibly tasting donuts. Their website lists over 50 possible donut flavors, and they always have seasonal specials, so you can bet they’ll have exactly what you’re craving for. 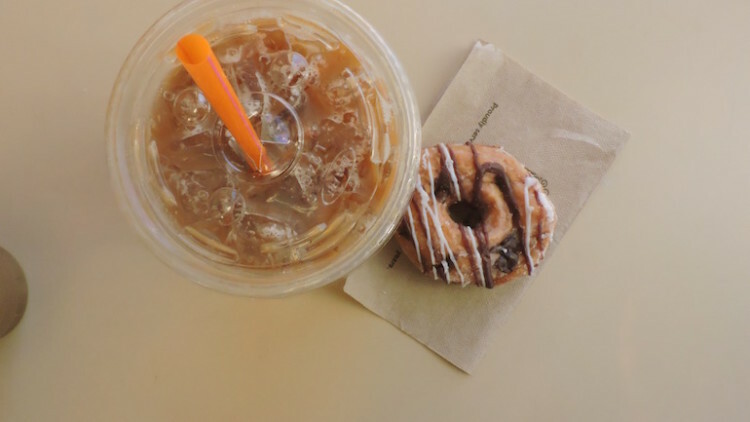 Coffee and donuts go together like bacon and jelly, so this definitely is a no-brainer. A plain, grande latte at Starbucks will cost you about $3.65. The same size latte at Dunkin’ comes in a little cheaper at $3.29, but that’s not the only place you’ll see the savings. 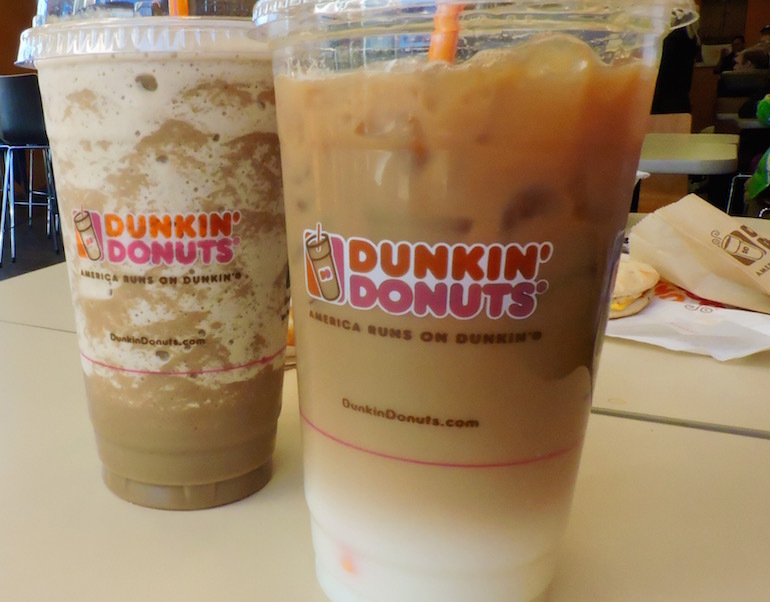 Dunkin’ will add any flavor extracts, sugar, cream, or milk (besides almond) to your beverage for no extra charge. No need to put in all that effort looking for hacks to make your drink cheaper. Starbucks menu prices shoot up the more complicated your drink gets, but at Dunkin’, there are no hidden charges for that extra pump of caramel we all know you want. Dunkin’ has a rewards program that is very similar to the Starbucks rewards system. Downloading their app allows you to conveniently pay with your phone, find locations near you, send gift cards to your friends, and rewards you for your purchases. Who wouldn’t want rewards for spending money? That’s every student’s dream. In addition, all members get a new, exclusive coupon to use every month, regardless of how much you’ve spent. Talk about real rewards. Some people like to argue that Dunkin’ has fewer drink options than Starbucks. But with their 11 free flavor options, four dairy options (and counting), seasonal beverages, smoothies, and teas, there’s always a Starbs equivalent to be found. 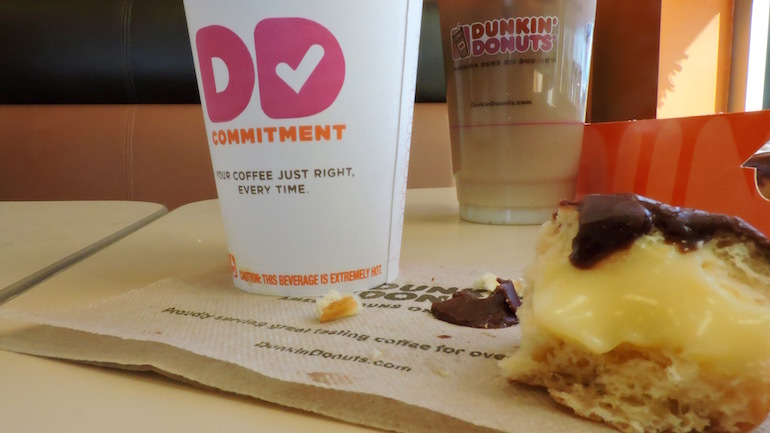 Even if you’re more of a fan of the dessert drinks than coffee, Dunkin’ can always provide you with something above and beyond all those Starbucks options. Drop the ridiculous Frappuccino and get yourself a Coolatta, stat. 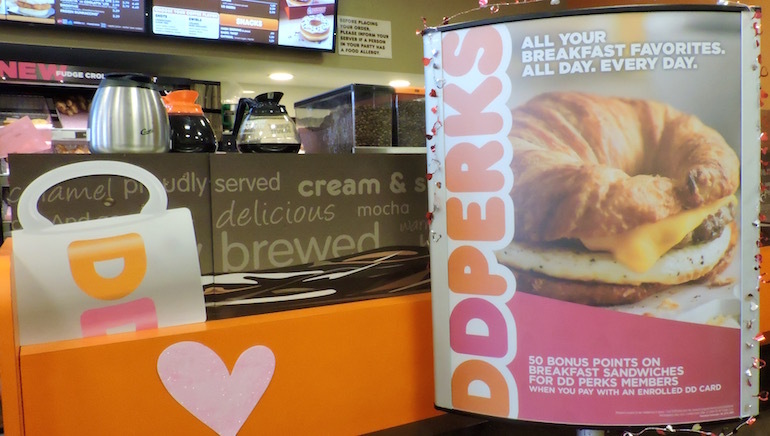 Sure, Dunkin’ provides fresh baked donuts, but their other bakery selections and meals can keep you satisfied any time of day. Their breakfast and lunch combos also come with a medium coffee or tea at no extra cost. The combo deal goes for less than the price of a Starbucks panini, which aren’t worth the price for the pre-prepared sandwich you’re getting. 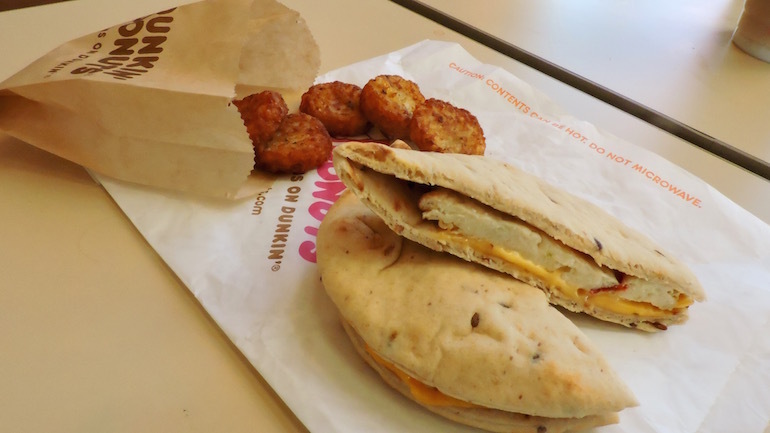 In addition to the plethora of sandwich combinations, Dunkin’s DDSMART Menu provides customers with meal choices that are under 400 calories. To make matters worse, most of your favorite Starbucks drinks easily come in at over 400 calories. College kids are always looking for more ways to get free food. Any time you make a purchase at Dunkin’, your receipt comes with instructions that lead you to an online survey. Upon completing the survey, a code will be sent to you, which means you’re eligible for a free donut with your next purchase of a medium beverage. Never pay for a donut again. You’re welcome. Let’s be real, you only made Starbucks your go-to because there’s practically one on every street corner. 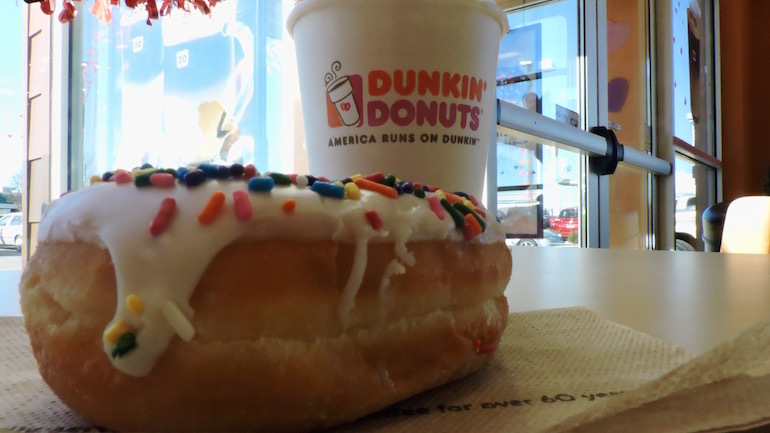 Dunkin’ Donuts coffee isn’t known for its burnt beans and bitter brews, a common opinion when it comes to Starbucks coffee. Blind taste tests conducted by Consumer Reports consistently rates Starbucks as some of the worst tasting coffee and Dunkin’ as some of the best. Maybe I’m biased because of my east coast roots, but I swear nothing is more satisfying than a cup of freshly brewed coffee from the good old orange and pink.